I remember when I was young and bought dandruff and an itchy scalp was something I would just outgrow when I got older. My terrible hair … not so much. It seemed like most of my schoolmates had beautiful, flowing, smooth, shiny locks. I somehow ended up with my grandmother’s hair by the time I was 12. It seemed terribly unfair. But I figured if I just waited it out, somehow my hair and scalp issues would resolve by the time I reached adulthood. They didn’t. They only got worse. I moved a few times over the years. Some of the locations I lived in seemed to bring some relief for the dandruff and the itchy scalp. Others made it much worse. And as far as my hair went, well, that wasn’t fixing itself either. I reached a point where I had to do something about it. I heard about what you probably have if you’re reading this article: apple cider vinegar itchy scalp remedies. I had already tried all the store-bought solutions, and none of them worked. Every commercial shampoo I bought just dried my hair out more, and every store-bought conditioner just punched a hole in my wallet. Plus, have you ever looked at the ingredients on those store-bought shampoos and conditioners? Yuck, half of that stuff is really bad for your hair and your scalp, not to mention your continued good health! I wanted to try something natural. Something like apple cider vinegar! I gave tea tree oil with warm water a chance too, but it didn’t work as I wanted. Other things like olive oil, shea butter, chamomile tea, castor oil, coconut milk… (the list is long). None of those treatments made the cut for the type of results I needed in my hair and skin. 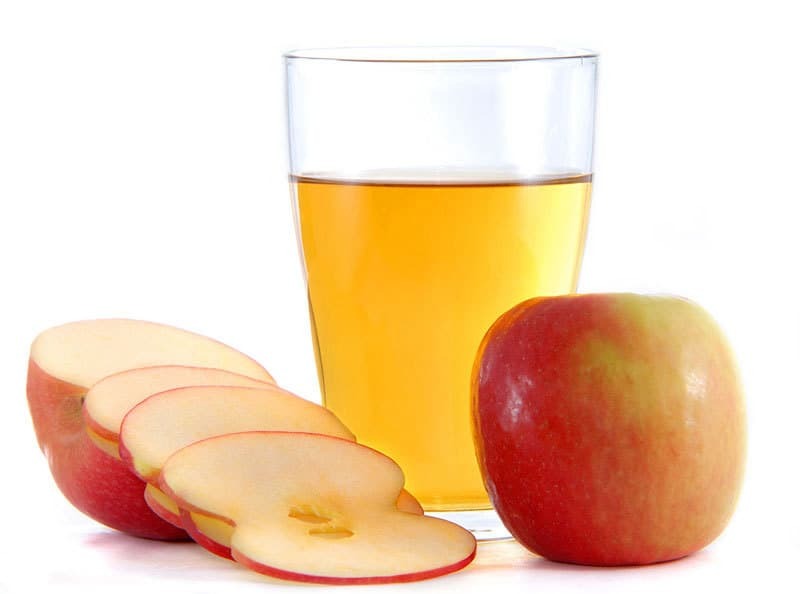 View all Apple Cider Vinegar health benefits here. What is the Apple Cider Vinegar Dandruff Remedy? First off, in case you’ve never used apple cider vinegar in your kitchen, you are probably wondering what it is. Apple cider vinegar is just what the name implies. It is a type of vinegar made using the must from cider or apple. It is often called “ACV” for short, and has a pale amber yellow color. • It is antimicrobial, antiviral, and antifungal. Oftentimes, one of the reasons for an itchy scalp and dandruff is the growth of a yeast-like fungus. • Unfiltered ACV is rich in nourishing proteins and enzymes. • Vinegar can balance pH levels in your scalp. If your dandruff is caused by an exceedingly dry or oily scalp, ACV may also help to balance the moisture. An unbalanced pH could be related to dandruff and itching. • It is a great clarifier. Why buy an expensive clarifying shampoo when a little ACV will strip off all that styling buildup for you? • It opens up your clogged pores. • It conditions your hair in a way you just have to see to believe. This is largely a result of the clarifying process. When the buildup is stripped away from your hair cuticles, you restore smooth, shiny texture and appearance of your hair. So basically, you are getting a two-in one with ACV. When you use apple cider vinegar, you are going to see amazing results for your hair and skin. Does it really work? I’ll get to that at the end with my personal experiences (hint: yes it does). But first, I want to tell you how to use apple cider vinegar as treatment for your hair and scalp. Then I will share some ideas with you for boosting the power of your ACV rinse with healthy herbs. 1. Mix warm water and ACV together. Some people use a fairly concentrated mixture: 1 part ACV to 4 parts water. 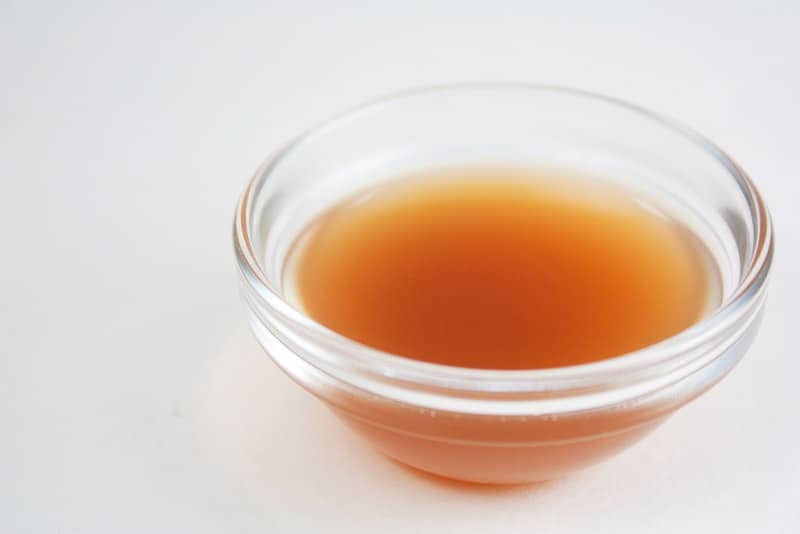 Other people use a less concentrated mixture, like a tablespoon of ACV to half a cup of water or more. Put it in a spray bottle and spritz it onto your hair and scalp. Rub it into your scalp, and then either leave it in for three to five minutes and wash it out, or just leave it in to dry. 2. Make the mixture the same way, but instead of using a spray bottle, take it into the shower with you in a cup. Pour it over your hair at the end of your shower. You can rinse it out after a few minutes or leave it in to dry. Should you rinse out the ACV or not? It depends on who you are. Some people find that apple cider vinegar has a more potent effect if they leave it in and wait for it to dry (don’t worry, the smell goes away once your hair is dry). Others find that doing this actually causes too much of an effect, which leads to irritation. Does it matter which ACV you use? If you’re going to be trying this, I recommend doing it right! You’ll get the full benefits of the apple cider vinegar rinse for your hair if you boost it with some herbs. This is fast and easy, and you will have awesome results. Doing the treatment above for about a week will prove an incredibly effective care to get rid of these problems. 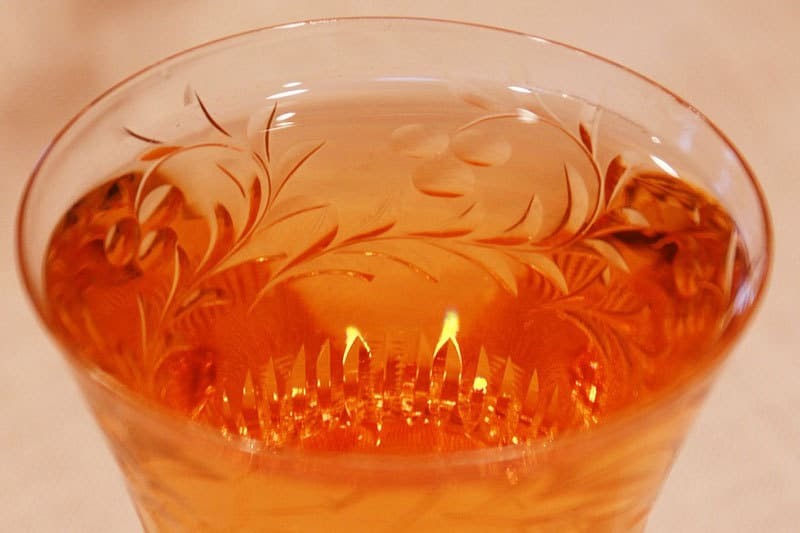 • Pour apple cider vinegar into a saucepan and start heating it on the stove. You want to get it to a low boil. • Any time you like, you can drop in the herbs you want to use. • Wait for the mixture to come to a boil. Let it boil for a couple of minutes so that the herbs disperse their natural goodness into the vinegar. • Remove the saucepan from the heat and let it cool down. • Pour it into a jar for future use. You can use a strainer to get the herbs out. Now you have an herb-enriched apple cider vinegar mix which you can use instead. These herbs will nourish your hair in an incredible ways with the apple cider vinegar. What’s cool is that you can formulate the mixture to your exact needs. Online you will find plenty of resources which help you to identify the herbs which will work best. There is a great list here (that same company makes herb mixes which you can buy at a very reasonable price which will save you the hassle of buying each herb yourself). Does apple cider vinegar for dandruff and an itchy scalp work? Yes, it does! I’ve found nothing better for conditioning my scalp or my hair. Now, mind you, this is something which you need to adjust to your own needs. I’ve noticed if I use a strong mixture for example, it makes my scalp itch because it dries it out. But other people report that a stronger mixture is exactly what they need—probably because they are battling yeast. Leaving it in works best for me, but for you, rinsing it out may be better. The only way to find out is to experiment. 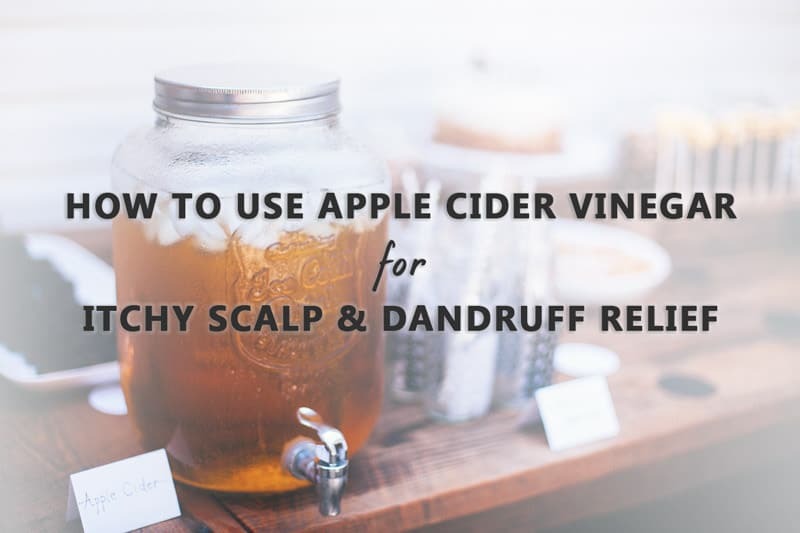 Once you find what works for you, you will discover that apple cider vinegar is one of the easiest, cheapest, and most effective treatments for dandruff and an itchy scalp you are ever going to find. It also makes your hair amazingly silky, smooth, and beautiful. It gives you a real volume boost and helps to bring out the best natural texture in your hair. I wish I had found out about ACV many years ago, but it’s always better late than never. Give it a try, I think you’ll love it!